G'day and welcome to my home page from Brisbane, the capital city of Queensland, Australia. 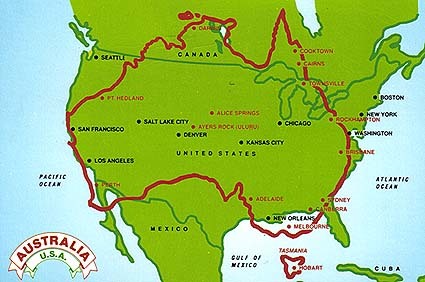 Bet you didn't realize we were such a huge country! WORLD TIME (if it's this time here, then what time is in the world)? HOPE YOU ENJOYED YOUR VISIT. COME AGAIN ANY TIME.